Meatball pizza is pizza prepared with meatballs. It has become increasingly popular in Upstate New York in contemporary times Meat lovers can enjoy the flavors of Italy with this easy to make Italian Meatball topping. It’s like an Italian Meatball Hero. But in this case, you will be the hero. Let your guests try to guess how you got the flavors so right. Did you ever go to an Italian restaurant with your family or friends, and as they are ordering pizza, you glance at the Meatball and Mozzarella Hero? Even when you make pizza at home, you know that there is lurking in the crowd, a guest that craves a meatball hero. Well, this quick recipe will satisfy that craving in the form of a pizza pie topping. It’s a win-win situation for all. This MeatBall Pizza recipe assumes you already have a favorite pizza dough recipe and that your dough balls are ready to be shaped into your pie. It should yield two or more 12-inch pizza pies. Here is a quick and easy way to make a guaranteed tasty meatball topping for your ilFornino Wood Fired Pizza. 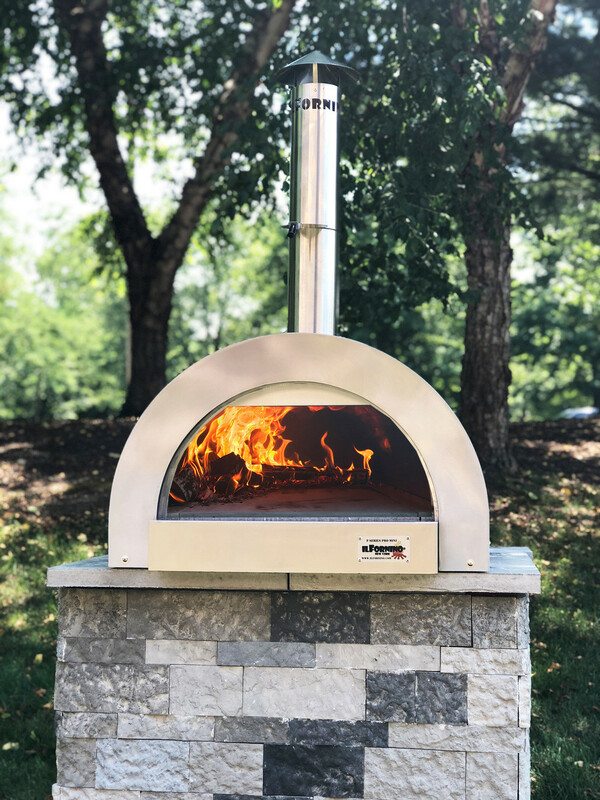 ilFornino wood fired oven or other similar oven with wood and associated tools. Measuring cups, spoons, bowl to hold and mix all the ingredients, nitrile gloves to protect your hands while mixing. A large cook sheet pan covered with aluminum foil. Chef’s knife to remove casing, if required. Prepare the Meatballs ahead of time. Could be a day ahead. Step 2: Place all the ingredients into a large bowl. Step 3: With gloved hands, mix all the ingredients until you get everything well distributed. Step 4: Gently form one ounce balls and place on an aluminum covered sheet pan. Step 5: Bake in a 375 degree oven for 15 minutes, turn and continue for another 15 minutes. Step 6: Remove; allow cooling, cut meatballs in half and store in the refrigerator. Step 7: Add the meatball halves as a topping on your pie with mozzarella, tomato sauce and basil. Step 8: Bake a normal. Your MeatBall Pizza is ready to EAT. You can add other variations to your meatballs. Ask your mom or grandmother as they probably have some really good variations.